The best way to maintain your oral health is through regular dental exams and cleanings. When you trust in Fair Lawn Dental Associates, you have access to the area’s finest oral care. Patients who visit us for personalized treatment get a level of compassion not present in other dental organizations. More than that, we offer state-of-the-art treatment in a fully modern facility. Our dentist in Bergen Country, NJ, is devoted to staying up to date on the latest trends and techniques in the industry, ensuring that anyone who walks through our door leaves with a happy, healthy smile. Let us enhance the health of your entire family’s teeth and gums. Our all-inclusive service is available to you on flexible payment plans. We work closely with most major insurance providers to ensure you can get the superior dental care you deserve at an affordable price. Set up an appointment with us today for a checkup. We’ll set you down the road to healthier gums, cleaner teeth, and a more vibrant smile. The comprehensive and caring dental services you deserve to more effectively prevent gum disease, tooth decay, and a variety of other oral health issues are available. Remember, your daily brushing and flossing routine is of the utmost importance. However, routine visits to our office are also necessary for maintaining oral health. Let us provide an individual approach to dental treatment in our comfortable office. Our dedication to quality in family dentistry goes far. We are committed to continual education and learning within the field. This allows us to ensure both your health and comfort are taken care of to the highest of standards. By depending on us, you can expect brighter and straighter teeth, reduced plaque and tartar, a decreased chance of gum disease and protection against tooth loss and stronger gums. Call us today to set up an appointment for your next dental exam. We are proud to treat patients in Bergen County, New Jersey, and the surrounding area. A true scholar and dentist, Dr. Baseri combines expertise with compassion. Dr. Baseri earned his BS in Biological Science from Rutgers University and then went on to receive a Masters degree in Biomedical Science. Building on his superb scientific and academic knowledge, Dr. Baseri then received his Doctor of Dental Medicine degree in 2013. Philanthropy is important to Dr. Baseri. He has participated in providing dental services to the community as part of a private practice model affiliated with the Community Oriented Dental Education (CODE) program at UMDNJ. 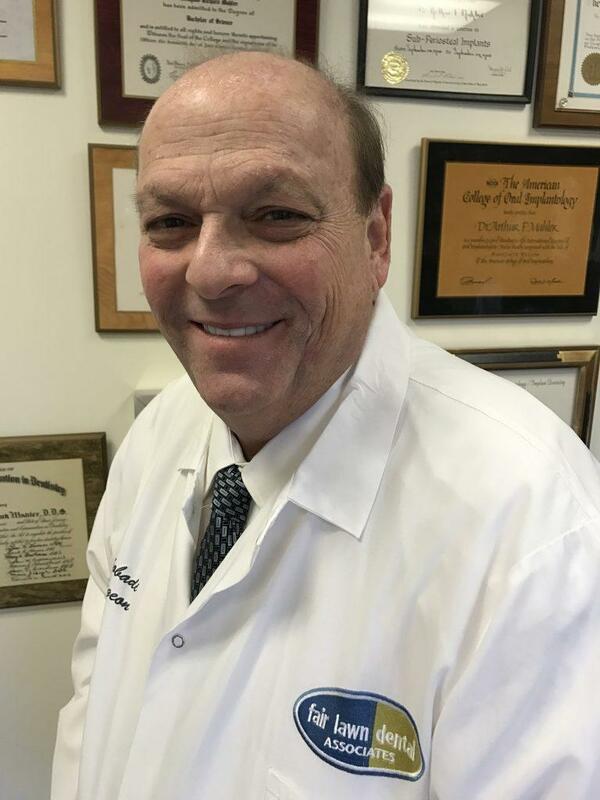 He is an active member in the following associations: Member of Gamma Pi Delta, Prosthodontics Honors Society; Member of Academy of General Dentistry; Member of American Dental Association; Member of New Jersey Dental Association; Member of Bergen County Dental Society. In his free time, Dr. Baseri enjoys relaxing at home with his wife, who is also a dentist. Thorough and conscientious, Dr. Kuo pays attention to his patients and their endodontic needs. As an active listener, he's serious about helping patients by listening to and addressing their questions, problems and concerns. Dr. Kuo graduated from New York University School of Dental Medicine in 1985 and continued on to receive his Certificate in Endodontics. He is an Assistant Professor at the New York University College of Dentistry. Dr. Kuo's charitable and philanthropic nature has found a home with the Shriners Hospitals for Children, where he holds the distinguished title of Past Potentate, as well as serving on the Board of Governors. Dr. Kuo enjoys his family, the performing arts and being in the great outdoors. Dr. Kenneth Hilsen is a renowned and distinguished Prosthodontist with a specialization in Sleep Apnea and Dental Sleep Medicine. He received his dental degree from New York University and completed his residency in Prosthodontics at NYU College of Dentistry and the Veterans Administration Hospital in New York City. In addition to his New Jersey private practice, Dr. Hilsen has held multiple academic and professional memberships and positions in the field of dentistry. A pioneer in the field of sleep apnea and snoring, Dr. Hilsen believes that every patient can achieve a healthier and happier lifestyle with successful sleep apnea treatment. He has devoted his career to the education and treatment of Obstructive Sleep Apnea with great success. Dr. Hilsen has developed a patented custom fit oral appliance for the patient treatment. As an authority on Dental Sleep Medicine and Sleep Apnea, Dr. Hilsen lectures nationally and has been interviewed on television, radio and newspapers. He is the current Treasurer of the New Jersey Sleep Society. In his free time, Dr. Hilsen and his wife Marilyn enjoy playing a weekly game of golf, as well as babysitting for his four adorable grandchildren. 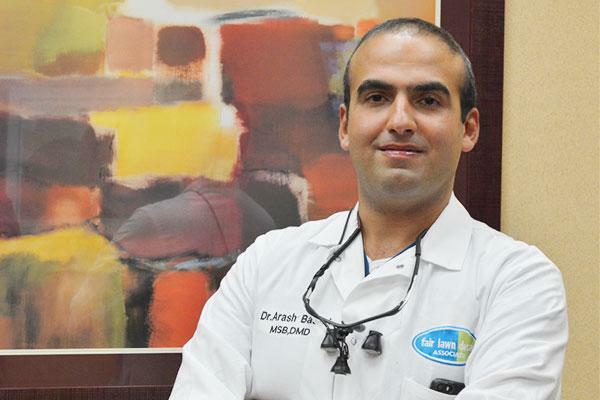 A unique combination of high energy and patience, Dr. Ghobadi is an oral surgeon who thrives on helping patients calm their anxieties to make their experience a pleasurable one. Dr. Ghobabi attended the University of Medicine and Dentistry of New Jersey where he received his dental degree in 2004. Following his education, he practiced at St. Joseph's Hospital and Medical Center, where he served as Chief Resident for two years before completing his residency in 2008. He now holds the position of Chief of Implant Dentistry at St. Joseph's. Dr. Ghobadi spends his free time traveling the world and exploring beautiful beaches.